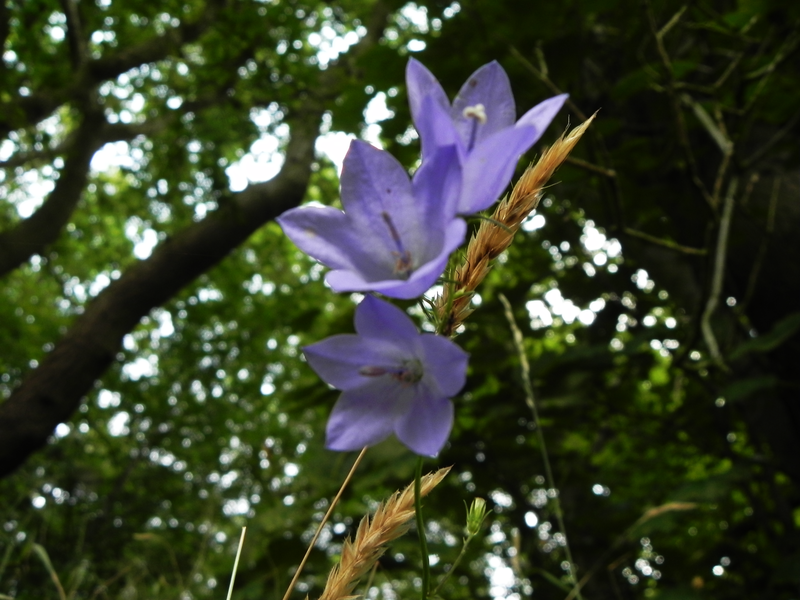 I’ve always thought that Harebells are much nicer than Bluebells, Bluebells do look nice as a large drift of blue, in the dappled shade of woodland glades, but as soon as you look too closely, that clunky stem destroys the illusion. Harebells have enough common sense to not try to compete and seldom grow in that sort of density. They know it is their individual delicacy that sets them apart. And anyway, they like their elbow room. The Harebell is dedicated to St Dominic, St Dominic founded the Order of Preachers, popularly known as the Dominican Order. During his life he did his best to punish himself, walking miles without shoes and sleeping on the floor to prove something, probably to himself. Perhaps this is why he became the patron saint of astronomers. Flowers so delicate and fragile, yet of such vibrant colour, must obviously be magical, and Harebells do go a bit over the top in the occult. You see, they represent the veil between human and faery. I’m not quite sure how you do it but using a Harebell you can improve your chances of seeing a fairy. Now, before you all rush off to, illegally, pick wild flowers, I must stress that there is a greater chance that you will be unlucky enough to catch sight of an irate imp than a fortunate enough to find a frolicsome fairy. Just remember, if you can see them – they can see you.